Ubuntu Studio 19.04 DVD (64-Bit) | Linux DVD Shop - UK Linux Shop supplying Linux on CD, DVD and USB with Free UK Delivery, 24Hr Dispatch. Ubuntu Studio 19.04 DVD is an officially recognized derivative of the Ubuntu Linux distribution, which is explicitly geared to general multimedia production. 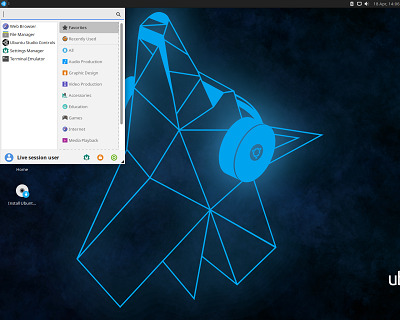 Ubuntu Studio also includes custom artwork and a blue-on-black theme, as opposed to Ubuntu's default brown and orange.